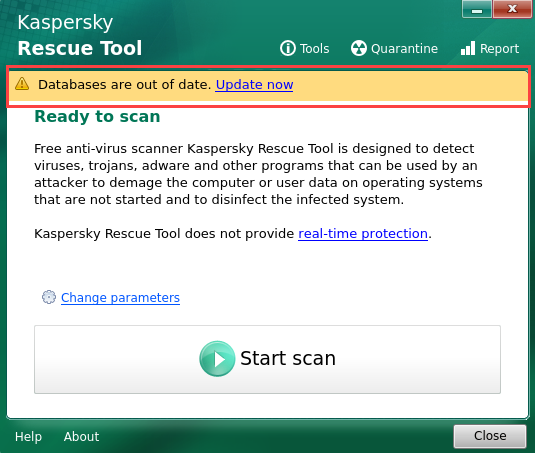 The warning “Databases are out of date” appears in the Kaspersky Rescue Tool window when a more recent set of databases is available. If you get this notification, update the anti-virus databases by clicking Update now or download the latest version of the image. The updated antivirus databases are saved on your computer’s hard drive and will be used when you run Kaspersky Rescue Tool in the future.